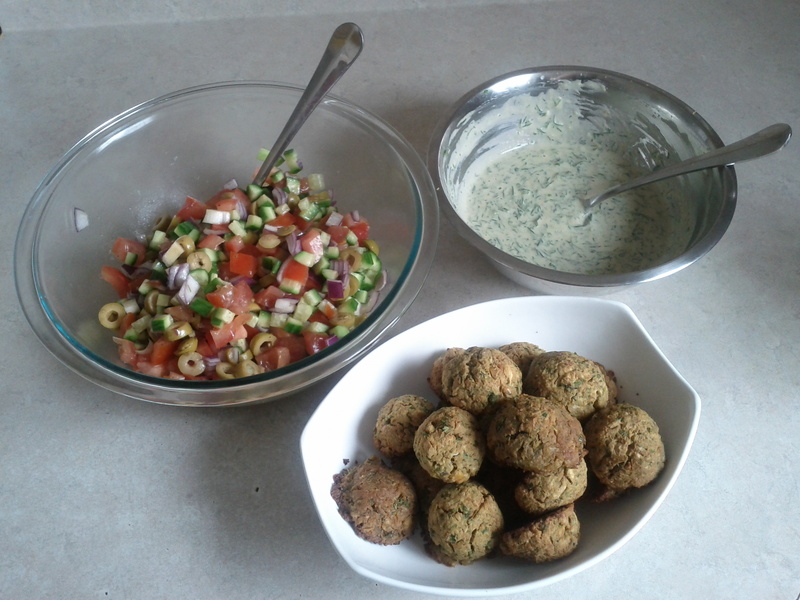 Baked Falafel Vegan Recipe with Israeli Salad and Tahini dressing – Great for kids! Directions: pour a little bit of coconut oil in a shallow baking dish and preheat the oven to 350 degrees. 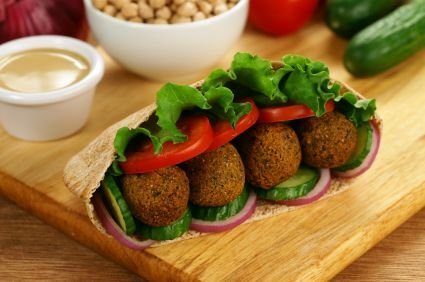 while oven is preheating, mix together mushed chickpeas, chopped onion, chopped garlic, chopped parsley, spelt flour, brown rice flour, coriander, cumin, baking powder, salt & pepper and olive oil. Use your hands to mix everything together until a paste-like consistency is formed. Then shape into small balls and place in preheated baking dish. Bake for 20 minutes, turning halfway through baking. Directions: mix everything together and enjoy! Directions: Whisk together all ingredients together in a small bowl and enjoy!